Red Rock Gear's Small Nylon Paramedic Bag is designed to be an on-the-go first aid or tool kit. Each outer side is flanked by two expandable mesh pockets and three nylon slip pockets. The main compartment features a rigid wide-mouth zippered opening for easy access to all contents. Lining the inside of the master compartment are eight additional nylon slip pockets for tools or first aid items. 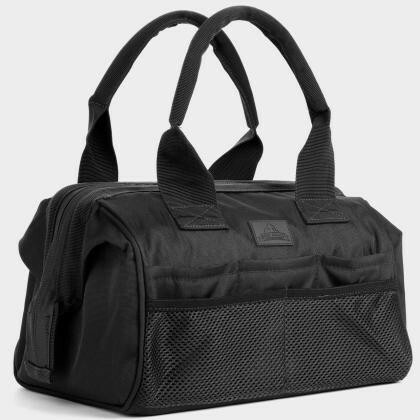 The Small Nylon Paramedic Bag also has two heavy-duty carry handles and a rigid bottom panel.